According to Fairfax County police, officers were called to the parking lot of Brookfield Plaza around 11 p.m. for a man who had been shot several times. Police described the scene as "chaotic," as hundreds of people crowded the parking lot. 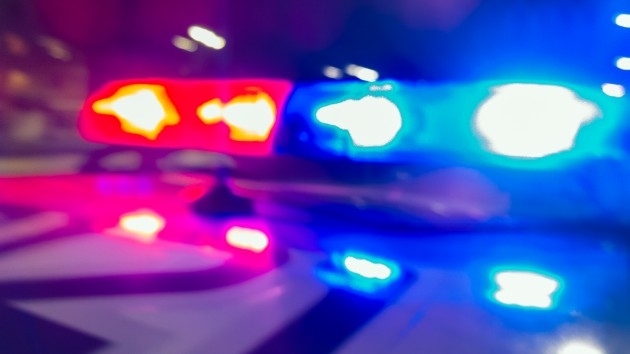 Two people ended up in the hospital after a shooting near the Brookfield Plaza Shopping Center in Springfield, Virginia, Friday night. According to Fairfax County police, officers were called to the parking lot of Brookfield Plaza around 11 p.m. for a man who had been shot several times. Police described the scene as “chaotic,” as hundreds of people crowded the parking lot. The man was taken to a nearby hospital with life-threatening injuries. Around 4:15 a.m. on Saturday, a man was admitted to a nearby hospital with a gunshot wound in his leg. Police determined the injury came from the shooting in the Brookfield Plaza parking lot. Police said a preliminary investigation showed that an argument broke out at a private event held by one of the businesses in the mall, and the fight continued into the parking lot where the shots were fired.